Halloween is just around the corner, and Sony is offering huge discounts on all things horror on the PlayStation Store. Everything from games to movies to TV shows are available for incredibly slashed prices over the next two weeks. 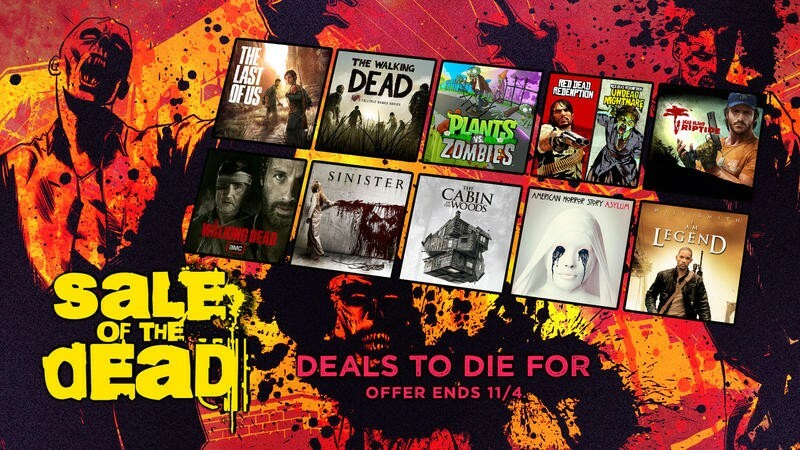 This week's horror fest is zombie themed, and given the general overabundance of the living dead appearing in video games over the last decade, there should be no shortage of deals. Don't let the criticisms of the amount of zombie games on the market dissuade you. When you line up such a library of quality titles, there are some things you just can't argue against. Expect to find some heavy hitters like the Resident Evil and The Walking Dead series, not to mention a lot of zombie DLC expansions from hit games like Red Dead Redemption and Sleeping Dogs. Check out the full list below. Anything up your alley? I'm shocked to find The Last of Us on there. Is Sony finally owning up to the game actually being a "zombie" affair? They dodged that label like the plague during the hit game's hype train. Can you really go wrong dropping $5.59 on one of the greatest games ever made? Resident Evil 4 might not have the best HD port around, but that doesn't stop it from being one of the most complete and perfect packages ever made. I'm also a big fan of the recent Resident Evil: Revelations. As for games I've been meaning to play, The Walking Dead: 400 Days has been dodging my attention so far. Maybe I'll have to check that one out. Sony also has a handful of zombie films and TV shows cheaply available. All of the above offers last until Oct. 28, and they will be replaced by a more general horror themed batch of software next week. Everything from ghosts, demons, vampire babes, frightened Japanese high school girls, and hulking underwater guardians. Check us out next week for another update.